Another attempt at vegan black truffle cream sauce with pasta. Happy First Day Of Spring! I'm celebrating with a simple crudite...plus some tortilla chips thrown in for good measure. I'm still looooooving the chioga beets and rainbow carrots, but the star is clearly @theculturedkitchensac Herbs & Chive Cashew Reserve. I've been smearing this stuff on everything lately and I'm still not sick of it; salmon, roasted veg, bagels.... 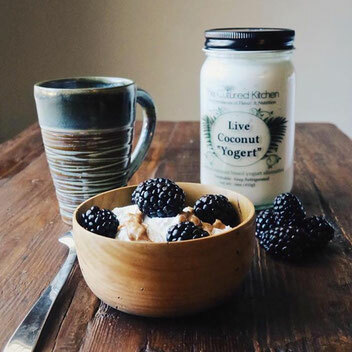 It's so creamy and herbaceous -- none of that sharp, nutty taste I often find in faux dairy. 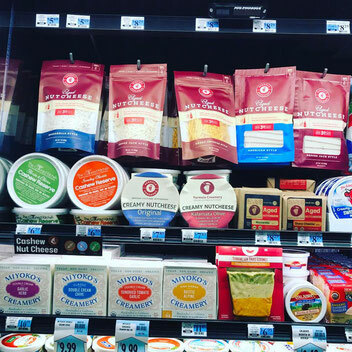 I've been getting it at @wholefoods if you want to check it out! 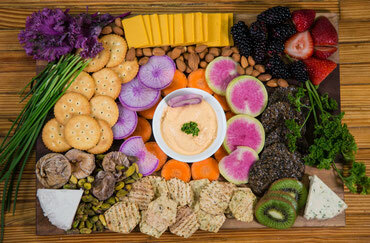 Can you believe this gorgeous cheese board is 100% plant based? Have friends and family with dietary restrictions joining you for the holidays? Have friends and family with dietary restrictions joining you for the holidays? No problem! 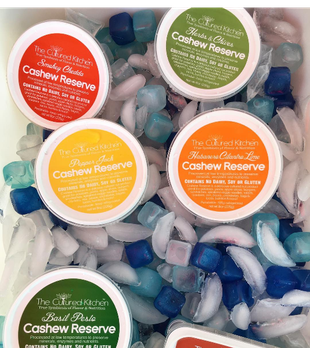 @theculturedkitchensac Cashew Reserve ensures that even your dairy-free, vegan, or gluten free guests can partake in a "cheese" platter. 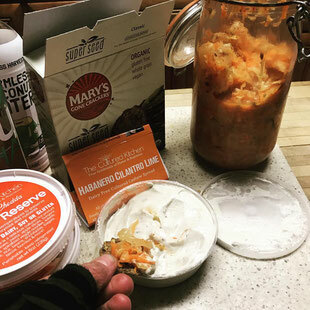 Simply pair with some @marysgonecrackers and your choice of vegetables or fruit for an easy appetizer! 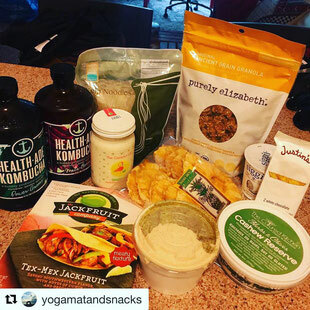 theculturedkitchensac@wholefoodssacramento You got it! And thank you for the shout out! 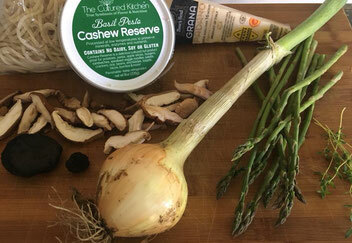 goodlifegrocery More vegan nut cheese!!!!! rachaelraeraejohnsonDoes it use palm oil like Earth Balance? epickindness@ejwoz Another for your dad! 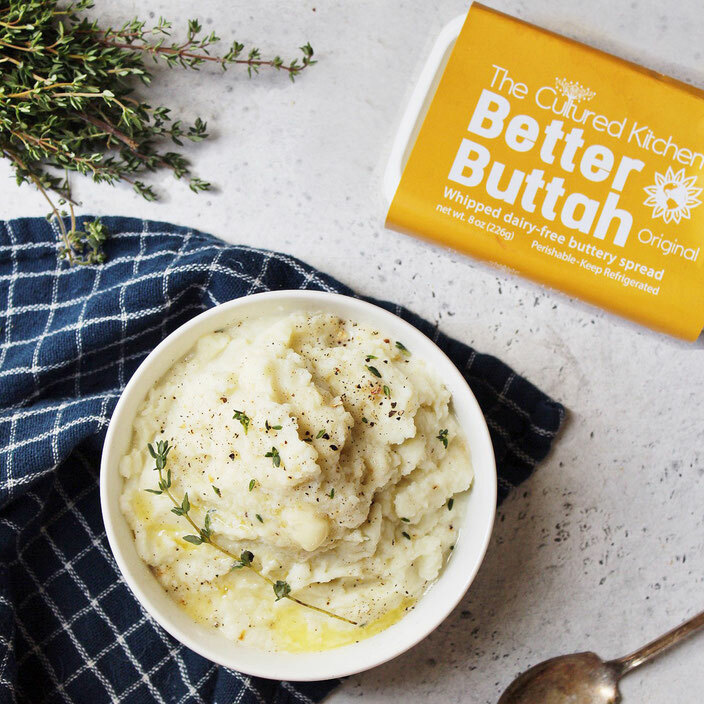 eyedreamcreativephotographyI love this butter and the brand! And starred in my hometown Sacramento! shopprepdevourOmg where can I get this? robersonclrYes please. Where may I purchase? paigedk07@justinek0 I always say "bettah buttah buttah bettah"! 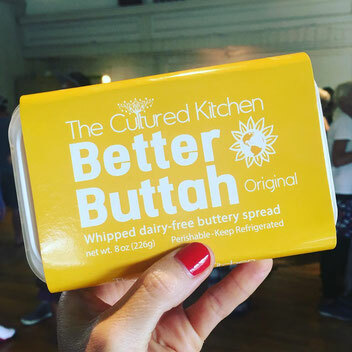 theculturedkitchensacWe love making good butter! 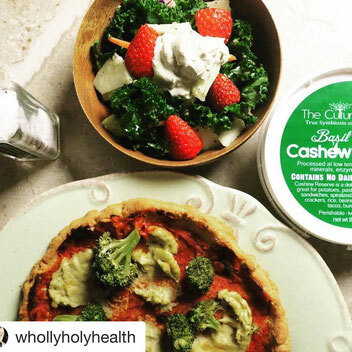 theculturedkitchensac@whollyholyhealth We’re so happy to hear that! We’ll keep making good stuff for you! the.pcos.plateI didn’t realize you had yogurt now!!! 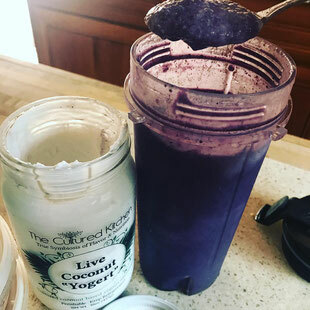 Is this sold at Nugget/Whole Foods? 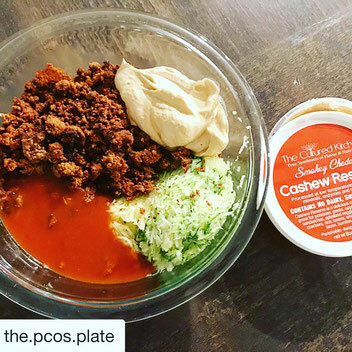 theculturedkitchensac@the.pcos.plate Yes we have yogurt and it’s awesome! It’s not at Whole Foods or Nugget. It’s at Sac Natural Foods, Elliot’s, Davis Co-Op, Briarpatch, and Placerville Co-op. Hopefully one of those stores is close to you. Otherwise, DM us and we’ll figure out a way to get it to you! inmyglitterheelsThird appetizer for the fundraiser progressive dinner. 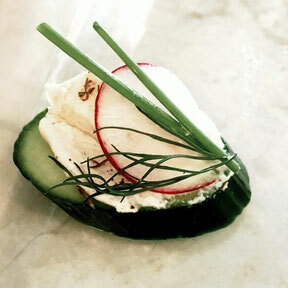 Organic cucumber with herbed cashew cheese (#TheCulturedKitchen,) roasted chicken, a slice of radish for color, a sprinkle of zatar spice, and dill & chives as garnish. .
shesheg33I love these pics so I know what's good instead of having to try a bunch of things lol. Thanks! Shred one zucchini and one yellow squash (use a lemon zester to make it really fine). Combine chorizo and squash with 1/2 cup of @theculturedkitchensac smokey cheddar cashew cream and 1/2 cup red enchilada sauce. Stuff tortillas with mixture and top with enchilada sauce - bake at 400 for 20 minutes. alanna_michelle24Does it have palm oil in it? 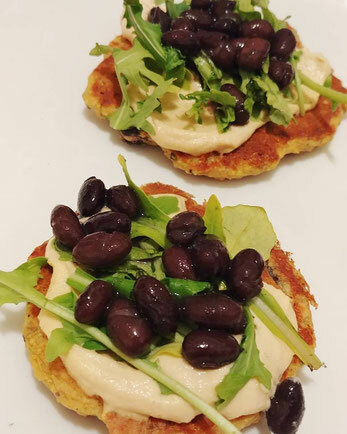 veganxmischa Made these mini flat bread pizzas with homemade cauliflower and nooch crust, topped with @theculturedkitchensac pepper jack cashew reserve, arugula, and black beans! 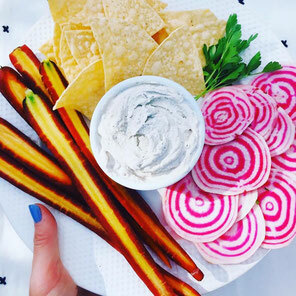 Make your own veggie platter this holiday season. 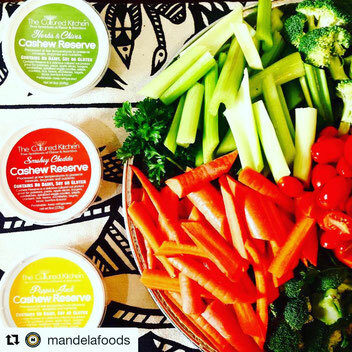 Make your own veggie platter this holiday season. It's fun chopping veggies, smells good, and doesn't take long to do, especially with the help of a loved one. #dyi #doforself #doforothers. We made this platter for Jimi Evins Open Studio. 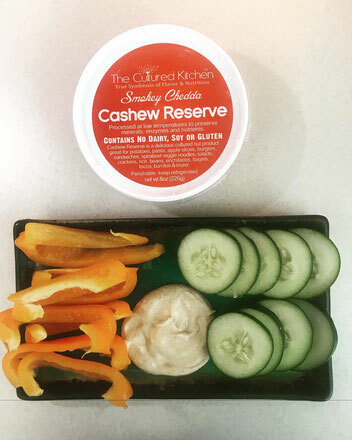 And, yes, the #cashewcheese @theculturedkitchensac is some of our favorite dips. Try those. 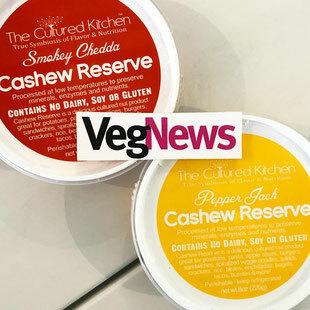 Okaaaayyy, why has no one told me about cashew cheese before?! 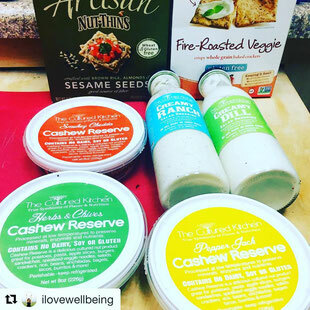 skincarebykendra Okaaaayyy, why has no one told me about cashew cheese before?! I am late to the nut cheese game! They had samples of these at the Nugget and they are YUM! I got the Pepper Jack and Herb & Chive flavors. Soooo good! 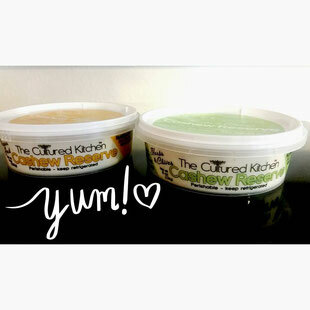 skincarebykendra@lululxmon I'm pretty sure I could eat the whole tub. . . . I see an addiction in my future. Hope you're having fun!! 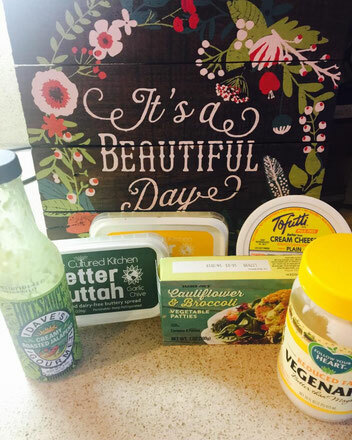 Vegan cheese spreads and salad dressings! There's still time to check out the Carmichael Park and Midtown Farmers Markets! Pick up some great produce for the rest of the week. jjwalmsleycan you ship to ATL? 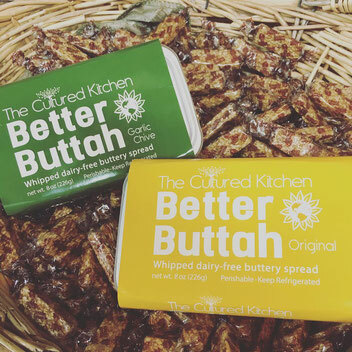 theculturedkitchensac@jjwalmsley Yes we can! We have to cold ship though. If you're interested send us a direct message. barbee9Can I order these online? 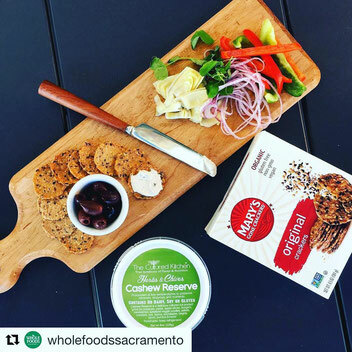 vegnews We’re spreading @theculturedkitchensac’s probiotic Cashew Spreads on top of sprouted bagels for a delicious on-the-go meal. lianajamieI make the best grilled cheeses with the cheddar one! 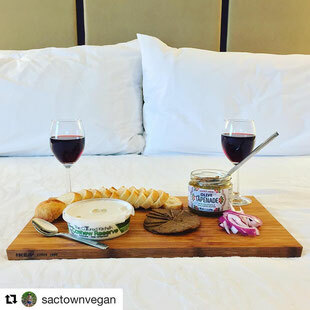 theculturedkitchensac@sactownvegan Thank you! That makes our day!